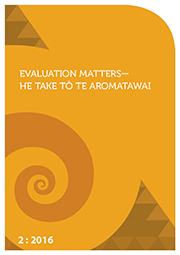 This article aims to document and evaluate the effectiveness of Te Ara Hou—The Māori Achievement Collaboratives (MACS). MACS is a nationwide grassroots educational leadership professional development project comprising 63 primary and intermediate school principals. These educational leaders meet at hui and wānanga several times a year to collectively engage with recent research and professional development to support their leadership practice toward achieving Māori success as Māori. In this article, MACS’ progress is measured against educational and leadership frameworks including Ka Hikitia and applied critical leadership. Complementary methodological frameworks employed are kaupapa Māori and critical race theory. Outcomes of this evaluation indicate that MACS is a culturally situated, culturally appropriate, and Māori-centric group of Māori and non-Māori principals committed to shifting their own leadership practice and school culture from what is to what can be. Findings suggest movement in the leaders’ practice from responding to students’ culture to making deliberate choices that result in actions and practices that positively impact upon and change school culture. There is evidence of school shifts to reflect a Māori worldview as the norm, rather than the exception, even in mainstream schools where there are relatively low numbers of Māori. MACS shows promise in terms of promoting practice that benefits Māori, all learners, schools, and their communities (e.g., whānau, hapū, iwi). Exemplars and implications are provided.